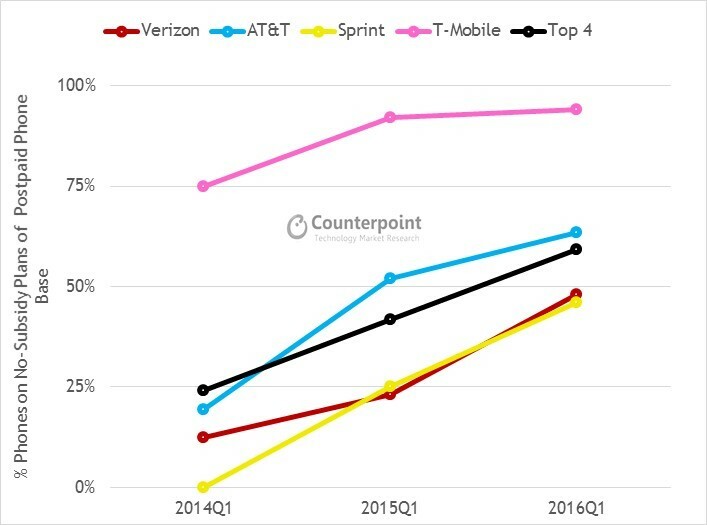 In just eight quarters we have seen a dramatic turnaround as T-Mobile has shaken things up with its ‘uncarrier’ strategy. The US market is undergoing dynamic shifts in how smartphones are being bought and sold as devices are increasingly being unbundled from call and data plans. 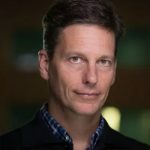 According to the latest research from Counterpoint’s Market Monitor program, in Q1 2016 (Jan-Mar), the USA’s overall smartphone market declined 4% annually as the market slowed down in the first quarter of 2016 after a relatively stronger Q1 2015 due to the strength of iPhone 6 & 6 Plus demand in the year ago quarter. In 2016, we’re also seeing a slowing in smartphone upgrade cycles. Apple led the smartphone market with 33% share (-13% YoY) followed by Samsung (+2% YoY), that increased its share to 28% in Q1 2016. After a seven quarter growth streak, demand for LG’s phones cooled (-1% YoY), but it still commands a healthy 15% share. Meanwhile, Chinese brands continued to grow with ZTE (+32% YoY), Alcatel (+5% YoY), and, Huawei (+421% YoY) albeit from a very low base. 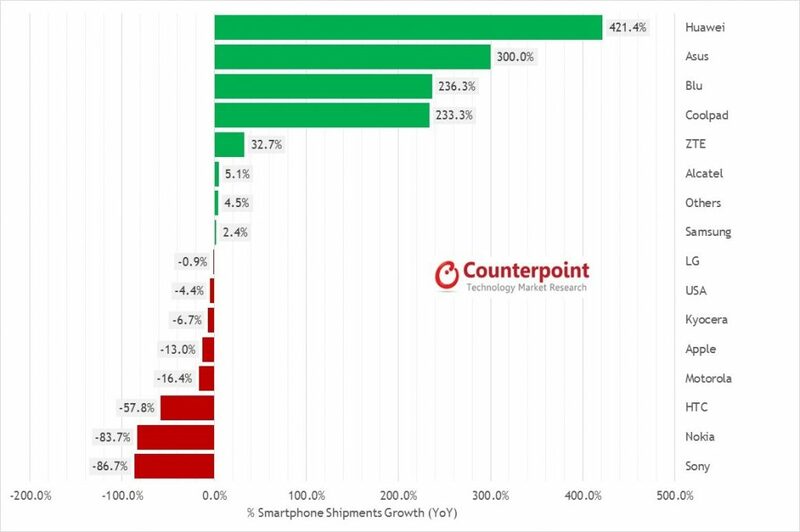 The top five brands captured almost 90% of the smartphone market during the quarter. 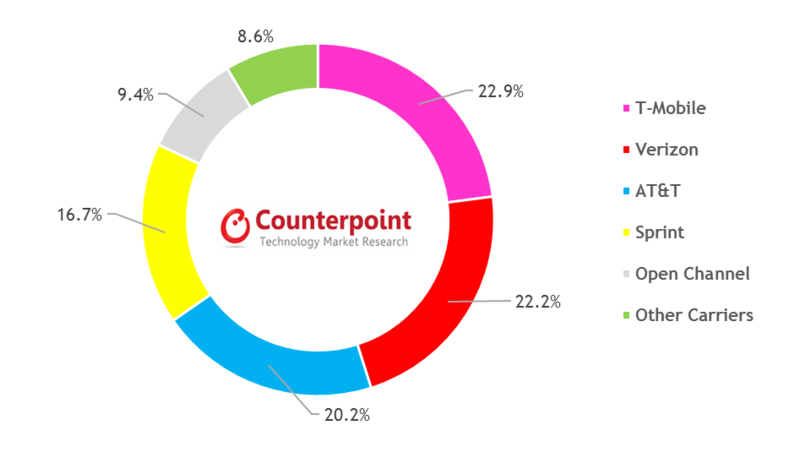 Jeff Fieldhack, Research Director at Counterpoint Research, comments, “The US market decelerated due to softness in Apple iPhone demand and iPhone SE demand not materializing until Q2 2016. Carriers continued to push subscribers to non-subsidy plans as for the first time more than half of the combined subscriber base of the top four carriers are now on non-subsidized plans. This is a significant shift from the subsidy-driven model just ten to twelve quarters ago. This has changed the basis of competition in US mobile landscape.